Art is not what I create; what I create is chaos. AAAAAAnyway, so I'm still alive. It's been more than a hot minute since I've touched anything here. Nothing personal, but I've been on a crunch for time since my parents kicked me out for being a raging lesbian (actually pansexual, but whatever. they didn't approve of the polyamorous bit either). after a few months of being on the streets I'm finally starting to get back on my feet and might even get to relocate to Sweden for a lead game design job. I bet almost none of you remember me. If that's the case, hi. I'm a music obsessed 18y/o korean girl from colorado, record producer, washed up pro-gamer (sponsored for Quake speedruns and Counter-Strike: Source), former Game Director for an indie developer (until they kicked me off the project and finished it without crediting me), technically homeless vagrant, and protege of a former government hitman who retired to Chicago law enforcement and went to car shows with my dad while training me... all with a trademark brand of facetious sarcasm fueled by trauma-induced cynicism that rivals even Vox. Hi Vox. How's it been? but regardless, hi! I'm back in some form or another. It's easier to assassinate an unsuspecting target. "And all the kids cried out, "Please stop, you're scaring me"
Perhaps hopeless isn't a place, nothing but a state of mind. They told me once "Don't trust the moon. She's always changing. The shores bend and break for her, and she begs to be loved." 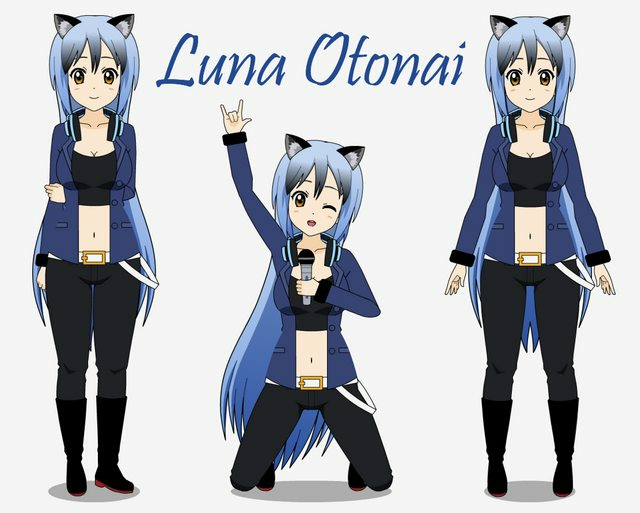 Luna Otonai - Beacon Second Year: The Mistrali Musician of Team SLVA - "My heart is gold and my hands are cold..."
Lazul Fen (WiP) - Atlas Third Year: The Eccentric Pop Star of Team IDOL - "When you die the only kingdom you'll see is two-foot wide and six-foot deep."